NYF’s powerhouse Grand Jury represents the most diverse brain trust of prominent advertising creatives from 50 countries around the globe. This esteemed peer-nominated panel provides a 360-degree creative view of the advertising world today and play an important role in selecting the World’s Best Advertising. NYF’s Grand Jury judge entries from over 100 countries worldwide and determine which creative campaigns move on to the medal round. Grand Jury member, Pedro Prado is Diretor de Criação for F/Nazca Saatchi & Saatchi Brazil brings 18 years iin the advertising industry to the judging panel. He was born in Rio de Janeiro, Brazil and has lived in Rio, New York, Texas, Indiana and São Paulo. 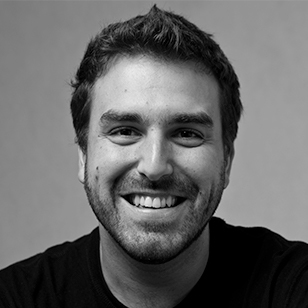 Pedro joined F/Nazca Saatchi & Saatchi in 2005, as a copywriter. Since then, he has worked on accounts for such prominent brands as Nike, Google, Skol (AB Inbev), P&G, Trident (Mondelez), Honda, D&AD Awards, Electrolux, Mizuno, Leica, Miami Ad School, Guaraná Antactica (AB Inbev), and Sadia (BRF Foods). His recent awards include Cannes Lions, One Show, D&AD, FIAP, El Ojo, Clio, London Festival, Wave, and São Paulo Creative Club. He has also judged local and international awards competitions such as One Show, Clio, London Festival, Wave, Andy Awards, and São Paulo Creative Club. Pedro Prado: It beats following blogs and ad sites by far. It's the best way to see the best of the best. Pedro Prado: Envy and hate. If I wish I'd done it, it's a 'yes'. If I like it to the point I hate who did it - hate in a peaceful and nice way, of course - it's gold. Pedro Prado: Nothing against advertising people trying to save the world (and win awards while at it). But I really thing the world needs more than mere case studies. So, I really hope we get our attention back to selling soap. Pedro Prado: A great deal of Brazilian TV spots from the 80s and early 90s. Ipiranga, Cofap, Ustop, Philco, Brastemp, and a bunch of stuff non-Brazlians have probably never seen. So, as far as globally known campaigns... The Economist. All their stuff. From Abbott's brilliant early ads to today's billboards. New York Festivals:What’s the single best piece of career advice you’ve ever received? Pedro Prado: I was very lucky to have worked and been around some fantastic people. So, I've heard some pretty good advice throughout my career. To pick one... "Be careful not to become a creative director, before writing a good ad". Hope I followed that one. Pedro Prado: In the woods. Pedro Prado: 4 or 5 shows at any given time. And sometimes I mix them in my mind and get completely lost.